At over 750 feet above sea level, Shaftesbury is one of the highest towns in England. It was known as 'Caer Palladur' in Celtic times. The Saxons built a hilltop settlement here, because of the commanding position overlooking the surrounding area, and in the 9th century King Alfred turned Shaftsbury into a defended town, following his defeat of the Vikings. He also founded an Abbey here, for his daughter, Aethelgiva. This led to the later prosperity of the town. 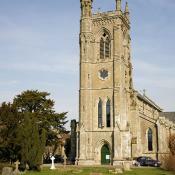 The Abbey became a popular destination for pilgrims during the medieval period, mainly due to the shrine of St. Edward. Shaftesbury Abbey fell victim to Henry VIII's dissolution of the monasteries in the 16th century but the ruins have survived. The remains of the abbey church have been excavated and lie within a walled garden. There is also a museum detailing the history of the site. 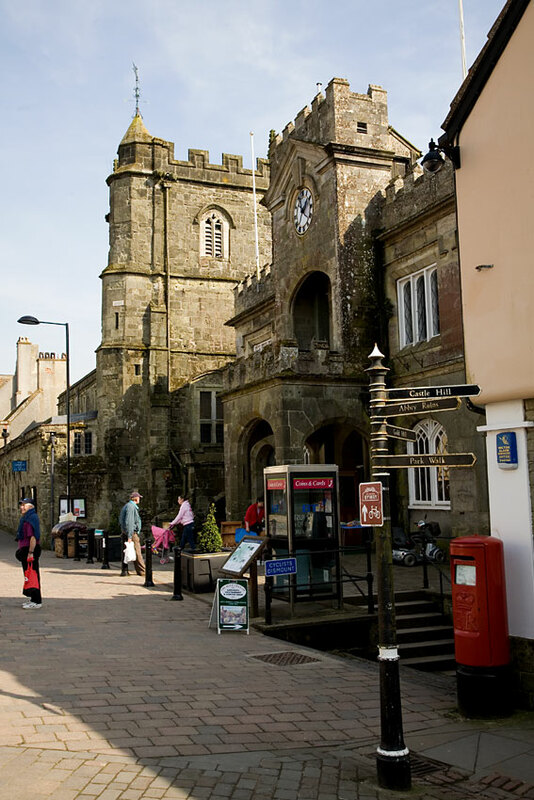 St. Peter's Church occupies a prime position at the top of Gold Hill, formerly the main street of Shaftesbury. It was originally built as a pilgrim church outside the wall of the Benedictine Abbey. The medieval church is noted for its crypt and vaulted porch. 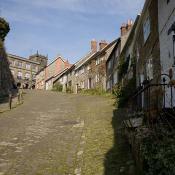 Gold Hill is the ancient cobbled street which runs beside the walls of King Alfred's abbey. It is a well-known site, featured on numerous calendars and cards. 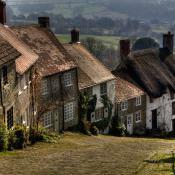 This steep street is lined with thatched and tiled cottages and looks out across the lovely Blackmore Vale. The Gold Hill Fair is an annual event, named after the famous street, which raises money for local charities. 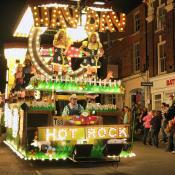 Another annual event is the Shaftesbury Carnival, held in October. In the middle of the 13th century, Shaftesbury was granted a charter to hold a weekly market; this was increased to two markets at the end of the 14th century. 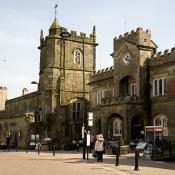 The town became a coaching centre in the 18th century, with five main roads meeting in the town. Extra horses were needed to pull the heavy coaches up steep Tout Hill. 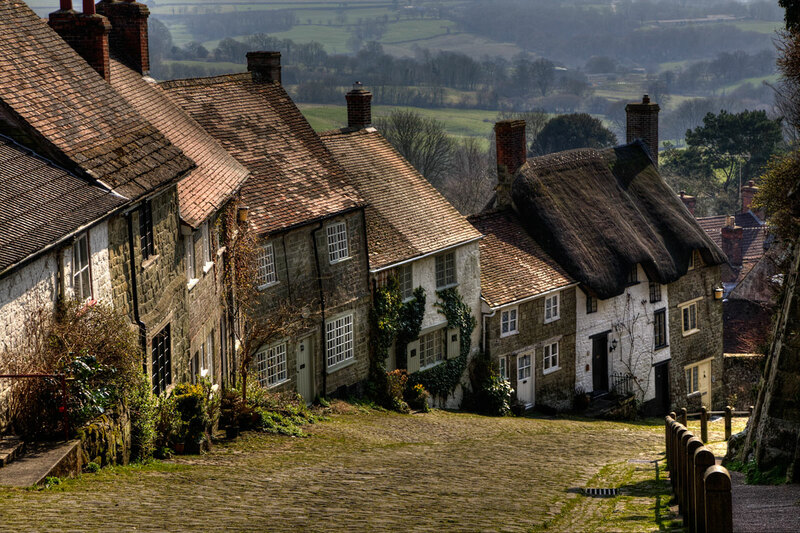 The railway eventually bypassed the town and made Shaftesbury into something of a backwater; the nearest railway station is at Gillingham. The Town Museum is situated behind the Town Hall at the top of Gold Hill. It includes displays of Dorset Buttons which were made locally in the early 19th century. It also contains many more interesting local artefacts. 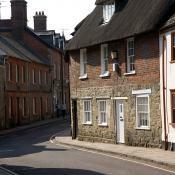 There are many attractive and interesting buildings in Shaftesbury including the Old School House on Abbey Walk. The town is a little off the main tourist route but well worth a visit. In his Wessex novels, Thomas Hardy renamed it as 'Shaston'. 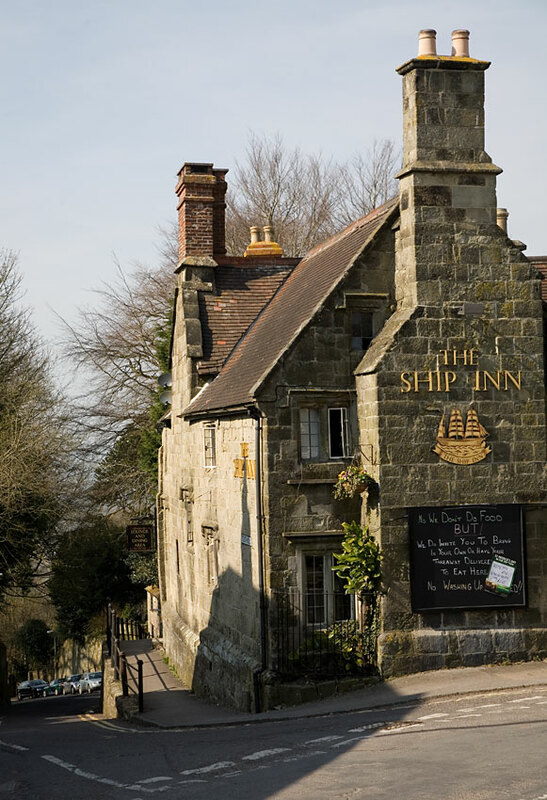 There are many well-known beauty spots within easy reach of Shaftesbury and it is within easy striking distance of the Dorset coast. Only two miles from the town is ZigZag Hill, which provides excellent views across Cranborne Chase, which straddles the Dorset/Wiltshire border to the east. The chase was once a royal hunting forest but most of it is grassland today, with the occasional pocket of woodland. The area has very few settlements and is ideal walking country. 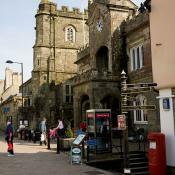 There are plenty of restaurants, cafés and bars in Shaftesbury, in addition to various sports and leisure activities. 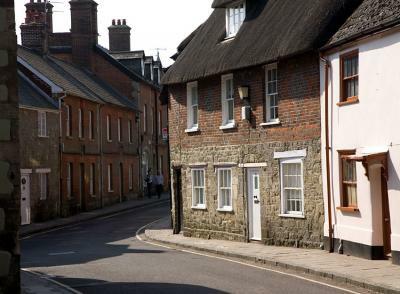 The town makes an ideal centre for anyone wishing to explore North Dorset and the neighbouring areas.